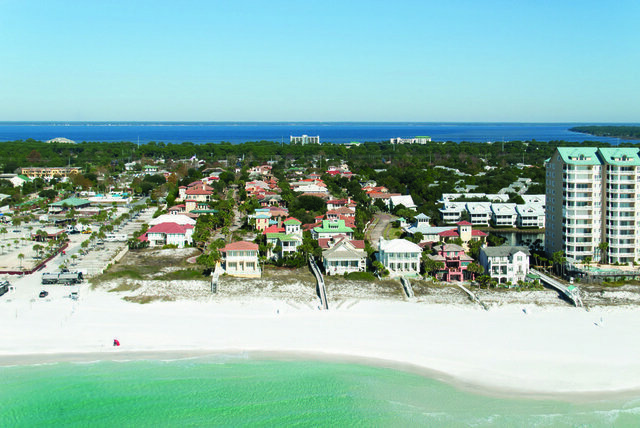 This exquisite parcel on the Gulf of Mexico delivers 67 feet of water frontage, plus white beach sand and all the majestic sunrises and sunsets your eyes and heart can hold. It is located in the gated Caribe neighborhood of Miramar Beach where Carbide is a shorter version of Caribbean. The property encompasses all the beauty and tropical mystique of the region. Community amenities include tennis, two swimming pools, a day time guard and proximity to shopping, dining and entertainment, but it's going to be hard to take your eyes off the riveting horizon and emerald green waters outside your door. There is no build out time limit, and to preserve property values and continuity along the streets, architectural guidelines have been established. And, there's more. The adjoining Gulf front lot is available for another 62 feet of beach and waterfront. The two together is a whopping 129 feet of waterfront paradise on the Gulf of Mexico. This may be your very best investment opportunity to build your waterfront home and live your dream lifestyle.